Second to my love for all things Italian, barbecue is easily a close runner up for favorite foods of mine. 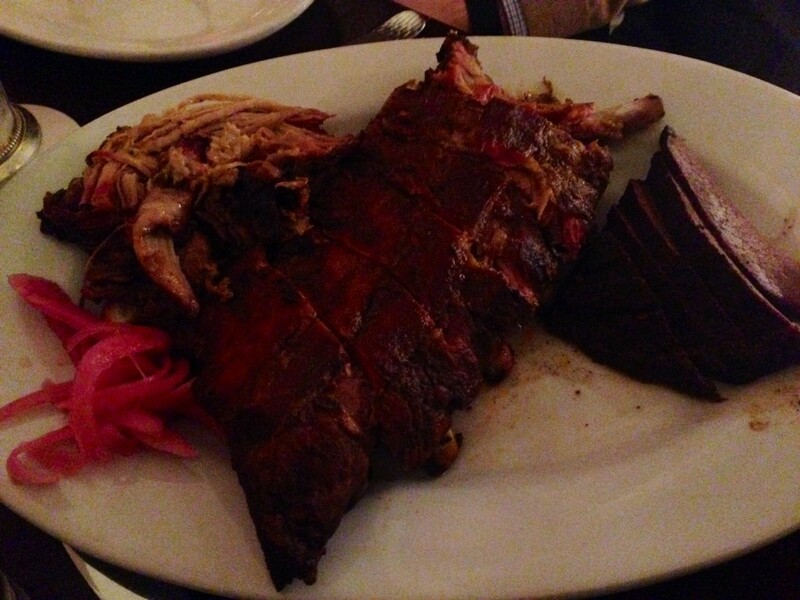 Although barbecue is more famous in the South, Chicago does have some great barbecue restaurants as well. Chicago Q has been one of our favorites since it opened in 2010. Known for its competition style barbecue, meaning the sauce is served on the side, Chef Lee Ann Whippen has one several different barbecue competitions and I can definitely see why. The restaurant itself is full of Southern charm with a modern ambience. The wait staff is adorned in plaid shirts and the service is great. This past weekend we dined in for dinner with Kevin’s parents. 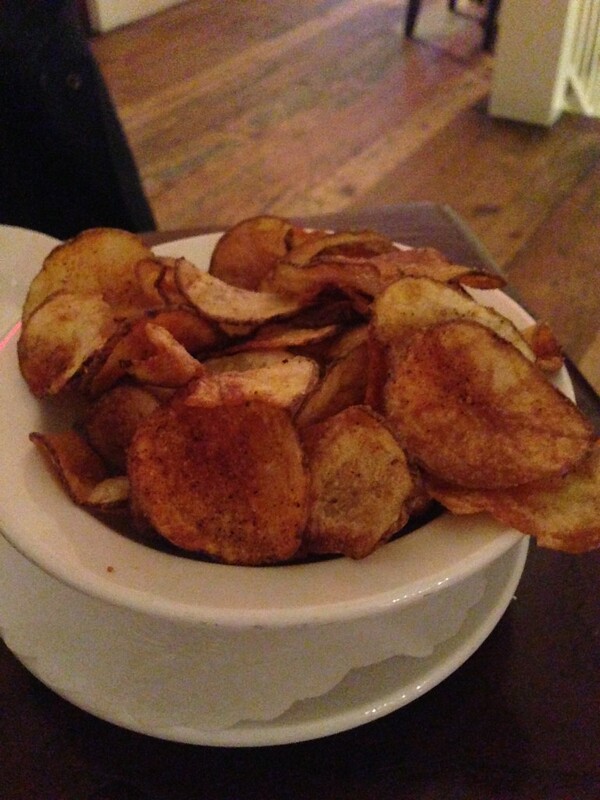 We were greeted at our table with complimentary BBQ chips seasoned with their house made dry rub as well as homemade sweet pickles. Both are equally delicious and were refilled several times throughout our meal. 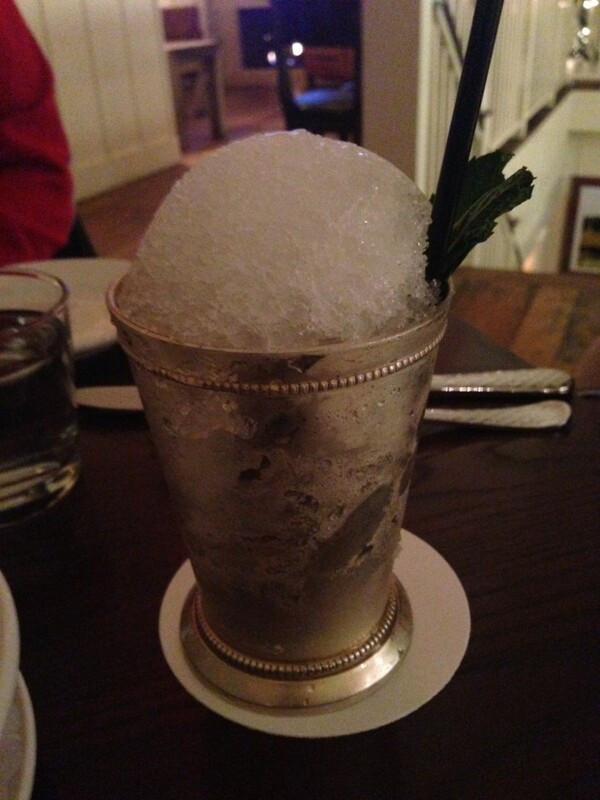 Kevin ordered a Mint Julep which was thoughtfully served in a traditional cup and looked like an adult snow cone! 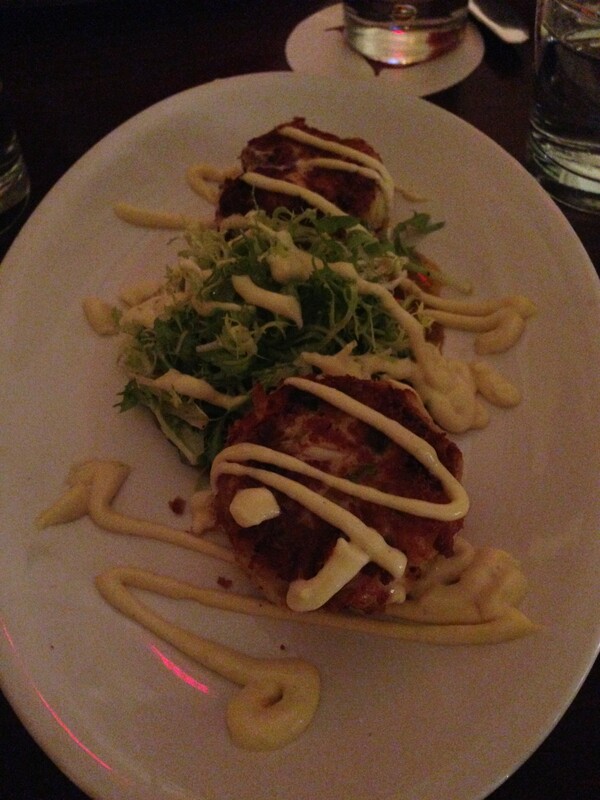 We ordered the Jumbo Lump Crab Cakes as an appetizer and they were honestly some of the best crab cakes I have tried. There was a ton of fresh crab meat in the cakes and hardly any fillers. They were delicious! On the entree portion of the menu, there is a Q2 and Q3 option where you can choose two or three different meats. Kevin and I split the Q3 and chose Pulled Pork, Sliced Brisket, and a Half Slab of Baby Back Ribs. Kevin’s mom and dad also split a Q3 plate for their dinner. All of the meat is served without sauce and is prepared with the same dry rub that is on their chips. All of it was delicious but I especially loved the ribs! The meat was so tender it fell right off the bone. The table is also served four different BBQ sauces you can add to the meat: mustard sauce, traditional sweet sauce, vinegar based sauce, and a spicy sauce. Sadly, I forgot to take a picture, but my favorites were the sweet and mustard sauces. 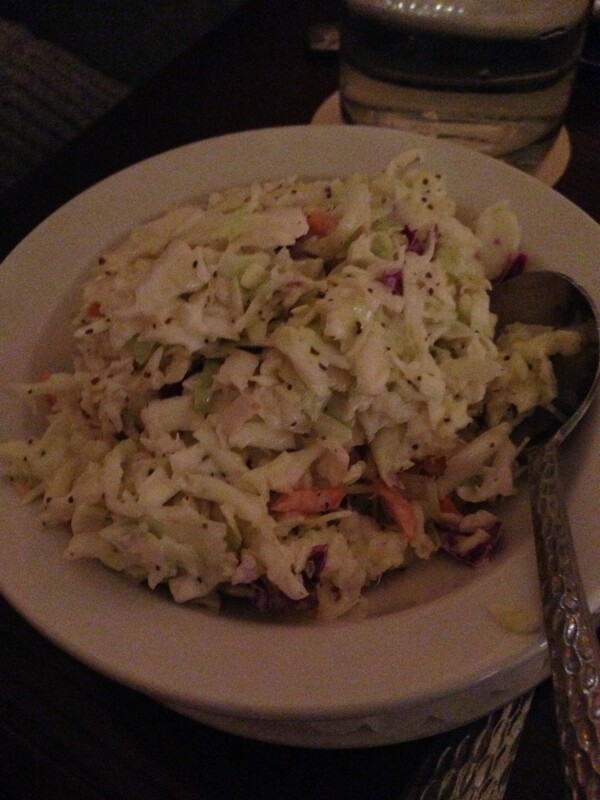 With the Q3 you get your choice of a side and we chose the cole slaw which was also very good. 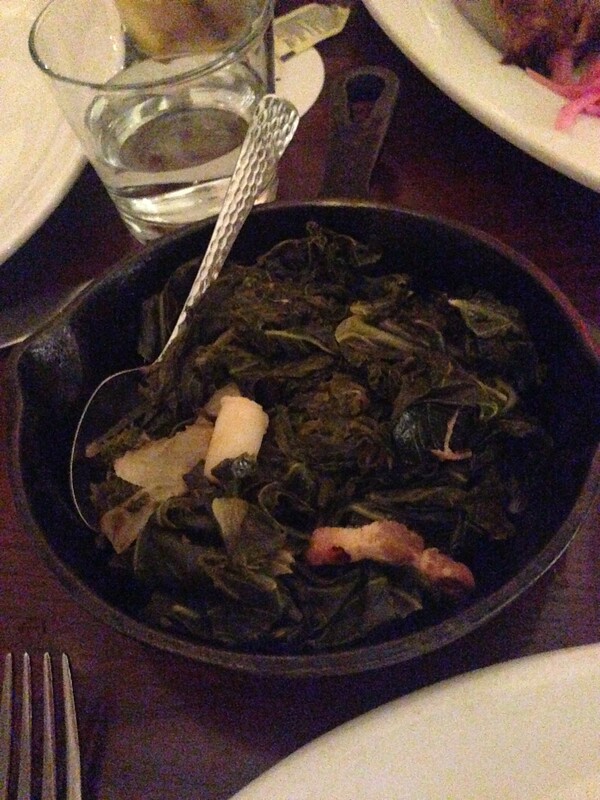 We also ordered two extra sides for the table: Braised Greens and Bruleed Macaroni and Cheese. 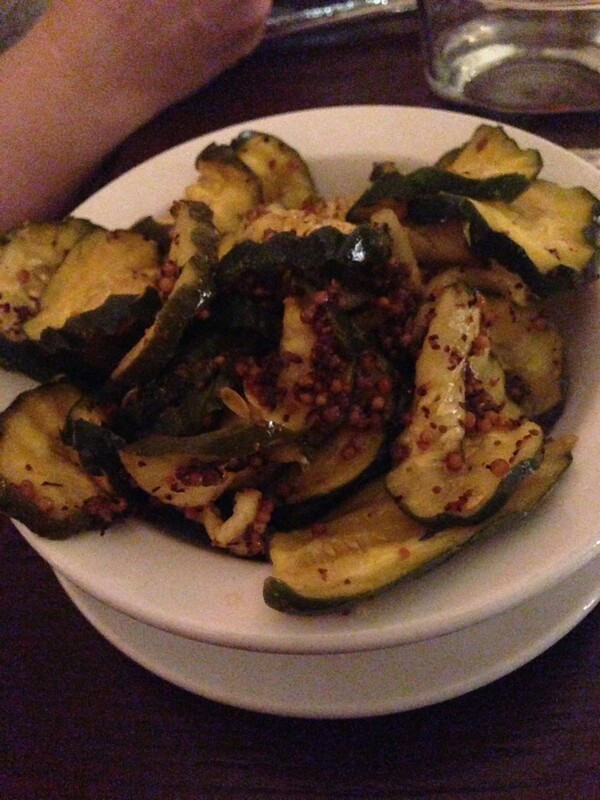 The greens were served with a spicy vinegar and had that perfect smoky flavor! 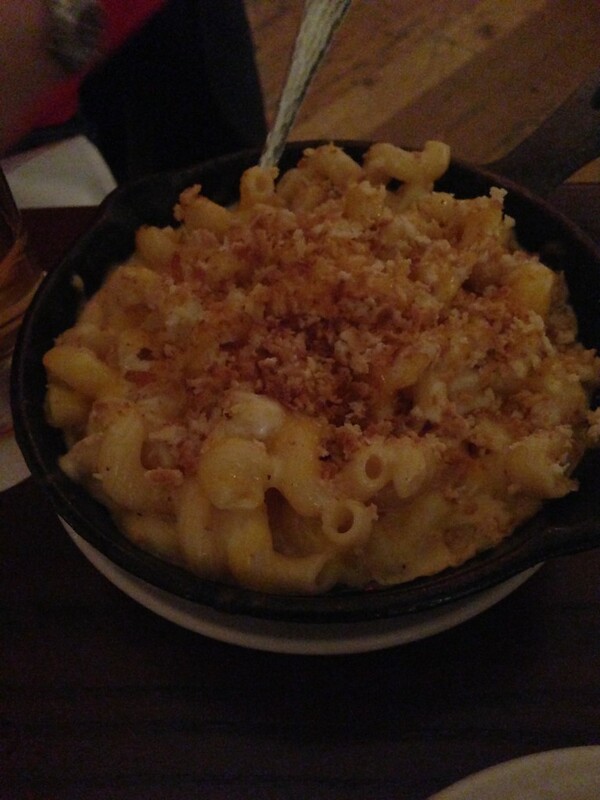 The macaroni and cheese was also an excellent side choice. The cheese sauce was creamy and delicious! Although we were way too full for dessert this time, I have tried both the Homemade Carrot Cake and Espresso Brittle Ice Cream which are both big enough to feed at least four people. I would recommend either of those desserts! 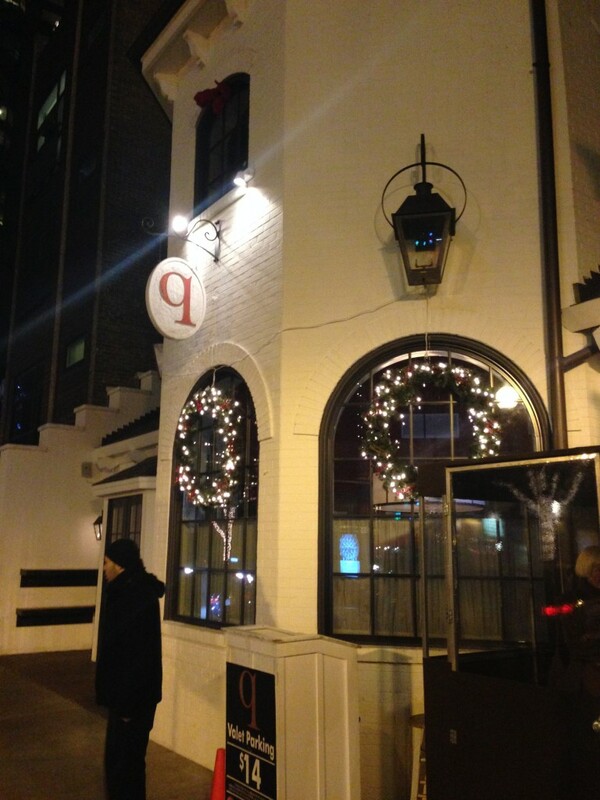 If you aren’t already making your reservation for Chicago Q, I would highly advise doing so! The ambience and decor of the restaurant are charming and the food is outstanding! I loved the carrot cake last time I had it! And the desserts are HUGE!